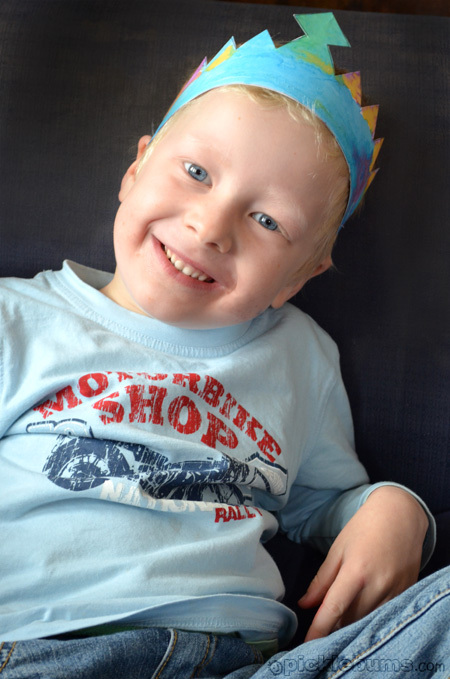 There are a lot of different crowns in our house, but according to Morgan, none of them are ‘Kingly enough’. Our original printable tiara template was not right. Apparently a King’s crown needs a spot for a really big jewel at the top, and it’s more pointy. Armed with these instructions I set to work creating a new printable crown template. And then Morgan set to work painting it. 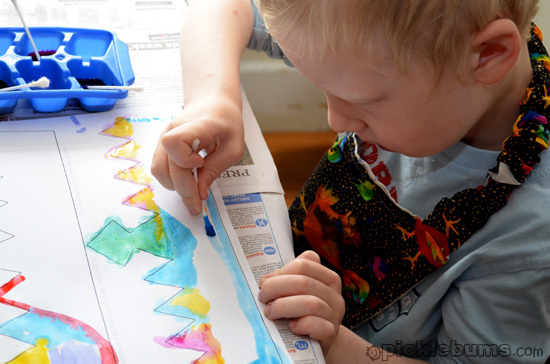 I love our recycled marker paints and some cotton buds for a quick and easy painting activity like this! 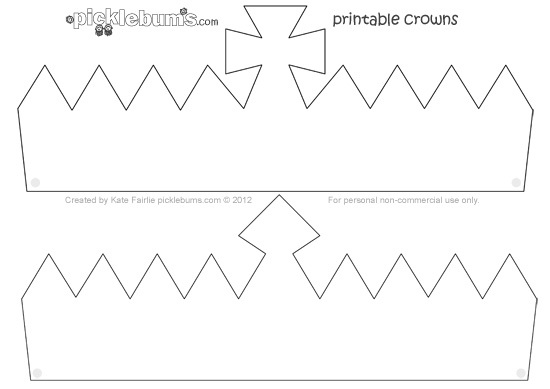 You can download our free printable crown template here. The beauty of these crowns is that you don’t need to find a piece of card or paper long enough to go around a head! Simply open the pdf file and print the crowns straight onto an A4 (letter sized) piece of card or paper. Decorate your crowns, cut around them and punch a hole at each side. Attach some string or elastic sized to fit your head and you’re done. My little daughter liked Morgan’s crown a lot. 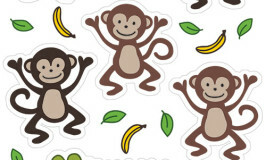 We have already downloaded the template and now decorating it :) Thanks for sharing it :) Best wishes. AMAZING.MY LITTLE GIRL LOVED IT!!!! 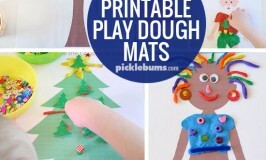 thank you for sharing this – very useful for the nativity outfit I have to make!